The Minivator Simplicity is a stairlift that is compatible with a straight stairs. It offers a safe and simple solution if you have difficulty climbing your stairs. The Simplicity may be the model for you, provided that your stairs is straight and you do not require a powered option. It comes in a Sand coloured upholstery, which is flame retardant and easily cleaned with a wipe or damp cloth. The Simplicity has a manually operated footplate and swivel seat, along with having a clip seat belt. Our expert installers can advise you on your specific requirements. click here to contact us. Click here to visit our facebook page. The Simplicity Series battery charging system works on a continual basis. No matter where the stairlift is positioned on the track, the battery is constantly being charged. This gives you peace of mind if it has not come back to its home position. A manual hinge or a Slide Track can be fitted with The Simplicity stairlift. Our stairlifts are fitted with a switch that can disable the stairlift from any unwanted use. It operates with a key and is positioned for easy access to the user. This is perfect when there may be young children around to prevent them accessing the stairlift. For total safety all stairlifts are fitted with sensors which are located on the footplate and power pack. Should an obstacle be in front of the stairlift as it is moving, it will come to a complete stop. 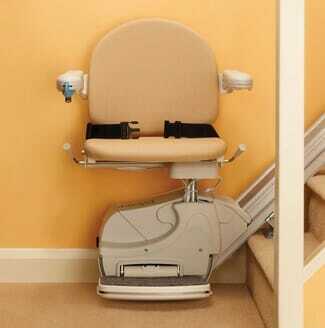 The stairlift can then be moved back, to allow the removal of any obstruction. Block B, The Crescent Building, Northwood Santry, Dublin 9, Republic of Ireland.